July is finally here which means only a few weeks until I attend my very first blog conference! Of course the first thing I thought of right after I bought my ticket is...what should I wear?! We live in a world where first impressions are key so why not start with your outfit? A good outfit can make you feel confident, make you stand out from the competition, and reassure people that you're an expert. With a majority of blog conferences having a "business casual" dress code, it's quite easy to come up with an outfit that shows off your blog niche while still looking professional. Here are my three outfit ideas that will hopefully help you get ready for your next blog conference! As a travel blogger, a great way of showing people how well-traveled you are is by taking some fashion inspiration from some of your favorite cities. 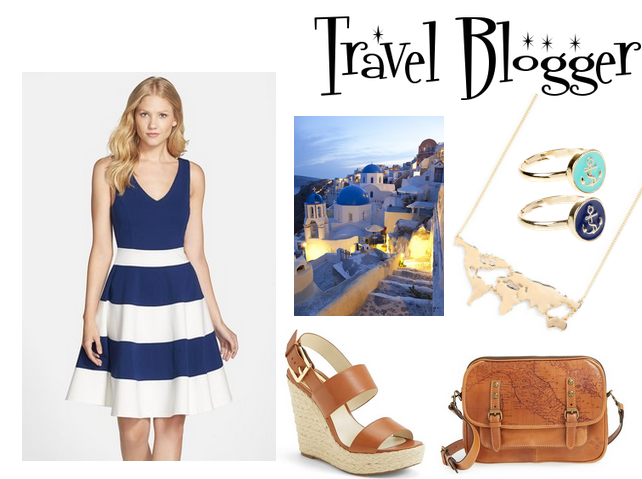 Here's a blue and white outfit that's inspired by the beautiful city of Santorini. P.S. if anyone compliments you on your outfit, it's a great way to tell them all about your travel stories! When it comes to fashion bloggers, wearing something unique and looks great in pictures is defiantly on top of the priority list. 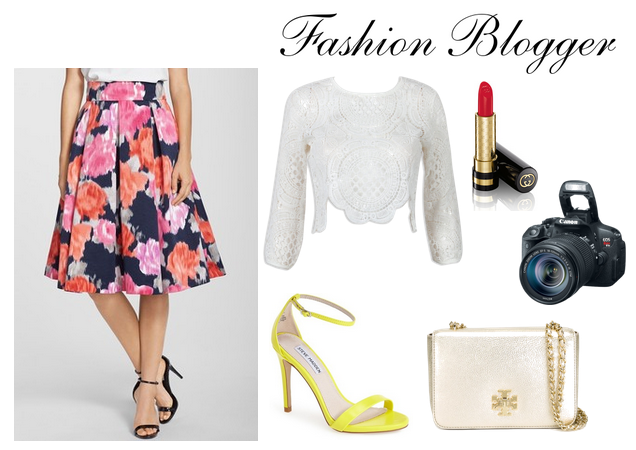 Be bold by mixing patterns and textures such as this white lace crop top with a floral midi skirt. When I think of a beauty blogger, I picture someone keeping their outfit simple in order to have the makeup on their face stand out more. Go for a minimalist look by keeping your outfit black and white but just in case you feel like adding a pop to your outfit, why not try this YSL lipstick crossbody? A girl can dream *sighs*. 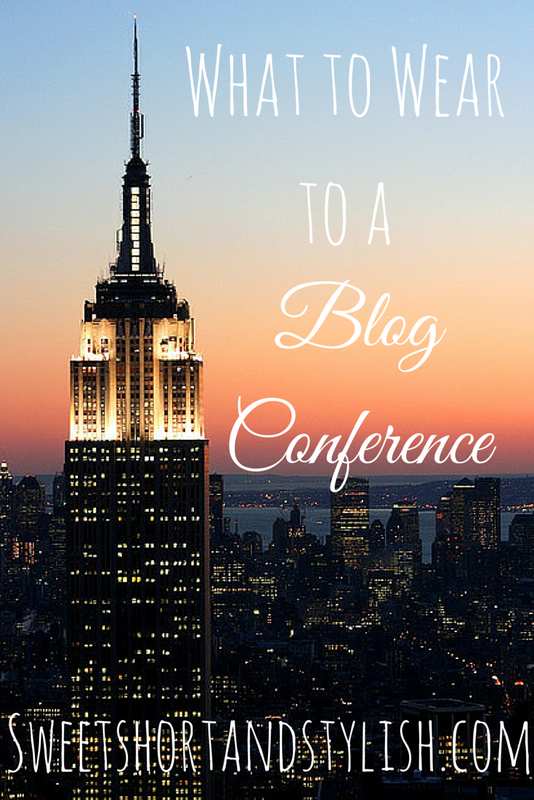 What conference are you going to? And I love all these outfits! I'm going to the blogher conference soon and I was just thinking about what to wear so this post has helped a lot! I think I will try the mixing patterns. :) have fun at your conference!